Shotgun Shells for the Range, Big Game, Turkey or Duck Hunting Mia Anstine - Encouraging everyone to get outside, hunt, fish, shoot, and survive life with others in a positive way. Now that my daughter has a shotgun for competitive shooting let’s talk a little about practicing and using the right shells for the job. You know how to get better, right? Practice. Practice. Practice. When my husband and I were at SHOT Show last winter, we were lucky enough to visit with Kim Rhode to get some shotgun tips from one of the most successful clay shooting athlete in history. Among the many questions we asked was how often she practices. She told us she shot a minimum of 500 rounds a day. What my friend doesn’t understand, and many unexperienced don’t, is the difference in shotgun loads. I obviously wouldn’t want to go to the range and shoot 3-1/2” turkey loads 500 times. My shoulder would probably fall off before I made it half way through. The different shells produce different power. Therefore, we use some for blasting clays and others for knocking down bit tom turkeys. 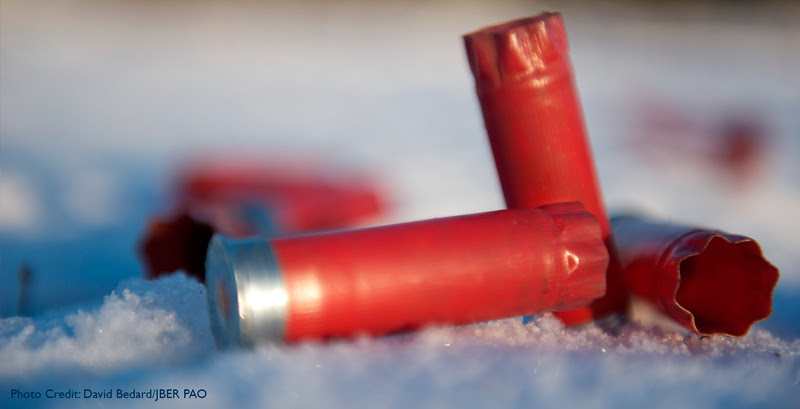 If a first-timer heads to the local gun store and look for shells, it can be a bit overwhelming. There are boxes lined up with numbers all over them. Not to despair. The numbers are there to help. The box gives important information you need to know in order to choose the proper shell for your proposed activity. From left to right, the box lists the gauge, shell length, velocity, amount of shot and number of projectiles. The shell length will vary depending on the shot size and charge in the shell. Velocity also varies depending on the charge as well as the shape and weight of the shot.